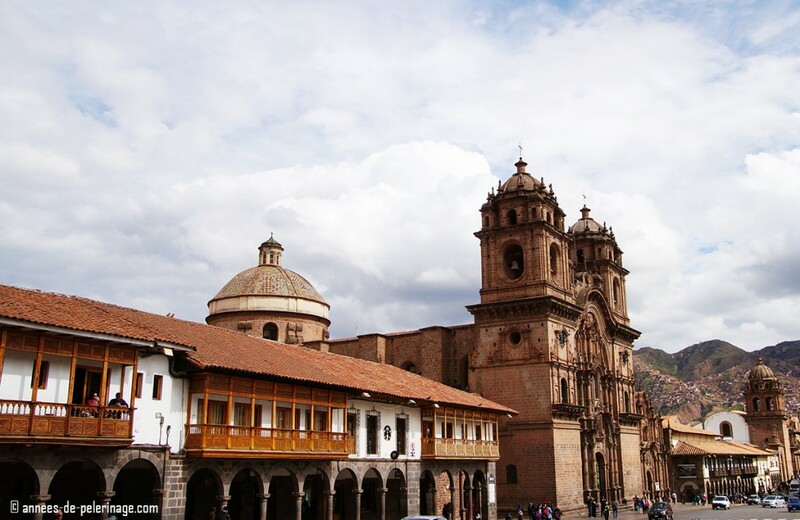 Cusco is one of the main tourist attractions in Peru. 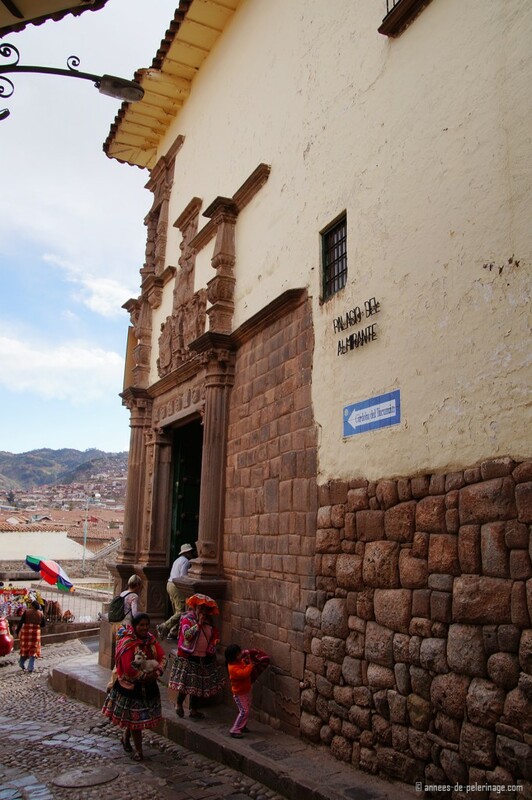 Despite its altitude of 3,400 meters, there are so many things to do in Cusco. 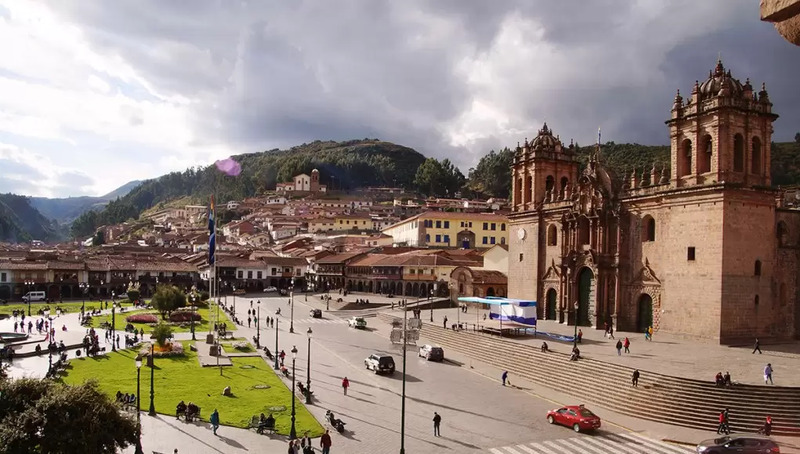 Cusco, sometimes spelled Cuzco or Qosqo, in Peru is a place almost beyond comparison: Built in the shape of a prancing Jaguar, it has once been the capital of an empire spanning half of South America. In 1933, the ancient city of the Inca has been declared the “Archeological Capital of the American” and since 1983 it is a UNESCO World Heritage Site. 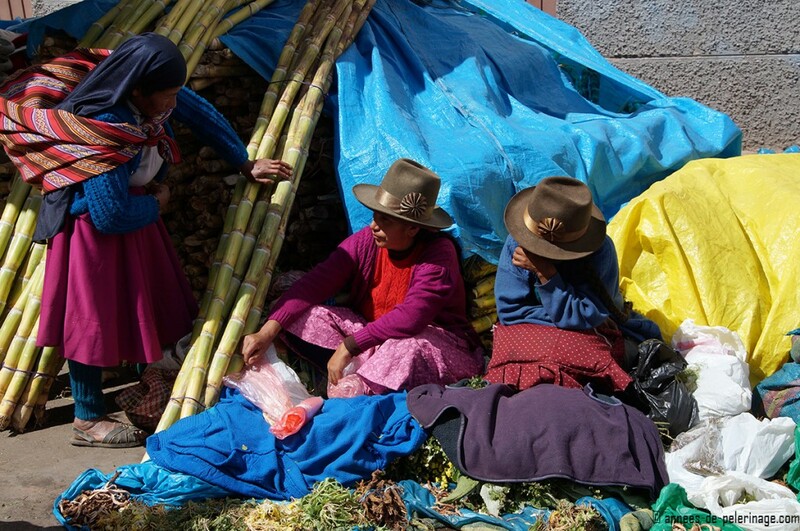 Now more than 430,000 people live here – most of them of indigenous origin and speaking Quechua. With an elevation of roughly 3,400 meters, it lies at the center of Peru’s famous Sacred Valley with its many tourist attraction, Machu Picchu being just one of them. 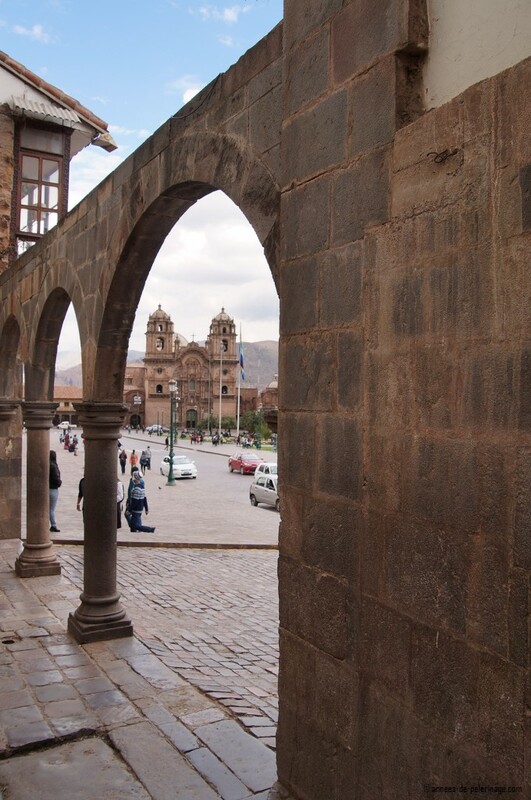 As a result, there are so many things to do in Cusco. What to pack for Cusco & Peru. Check out my detailed packing list for Peru. 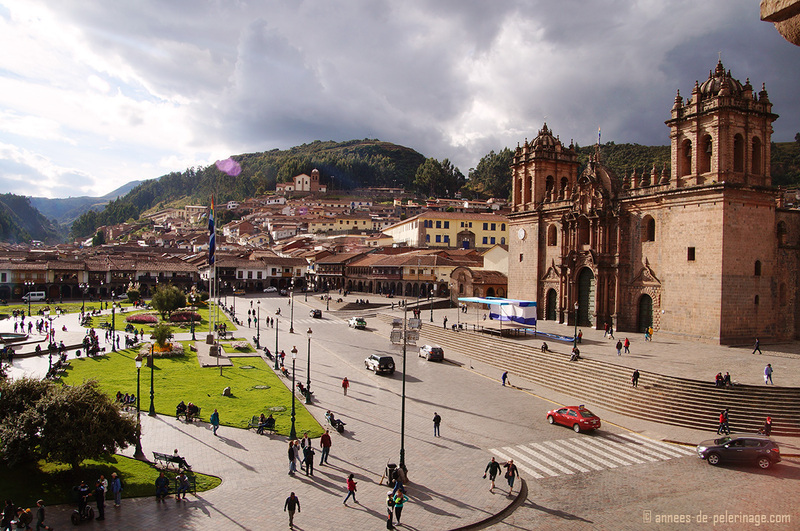 The Plaza de Armas, is, much like in a lot of other South American cities, the very hub of Cusco. Located in the very center of the historical town, it really is the place you should start your city tour. There actually is not a lot going on in the square itself (apart maybe from a few shoeshine boys), but the view of the surrounding buildings is quite spectacular. In the very middle, you will find a statue of Tupac Amaru. Please also take note of the stone arcades the Spanish built around the Plaza de Armas. Some of them can still be seen. Mostly shops and tourist agencies line these arcades. Do go for a stroll! Facing the Plaza de Armas are two major cathedrals. 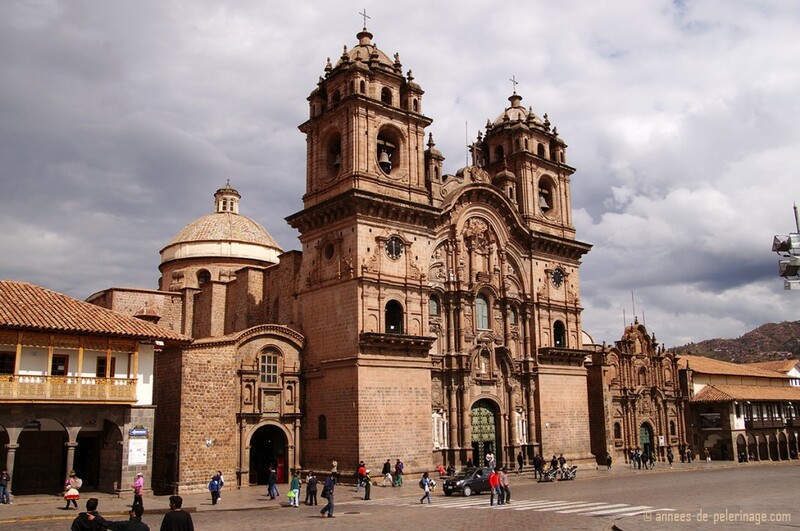 The Cathedral of Santo Domingo, simply called THE cathedral, was Cusco’s first cathedral. 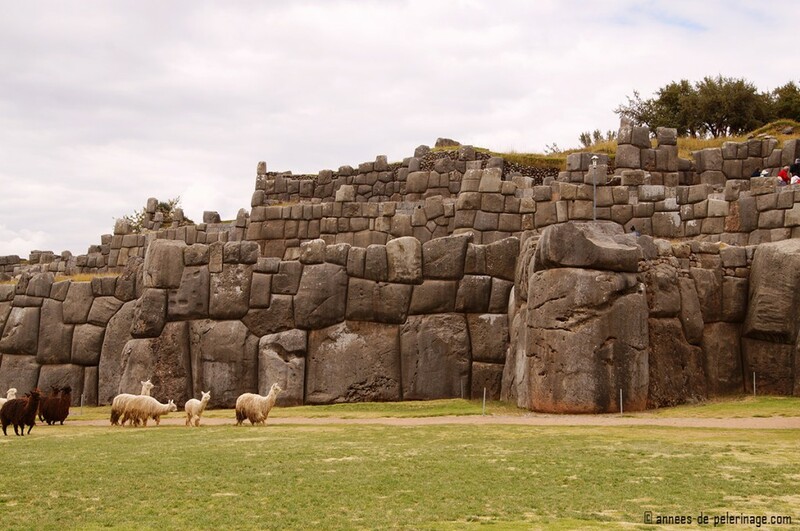 Constructions started in 1560 on the grounds of the Palace of the Viracocha Inca, the red granite blocks forming a more than impressive façade. But do not discount the interiors either. 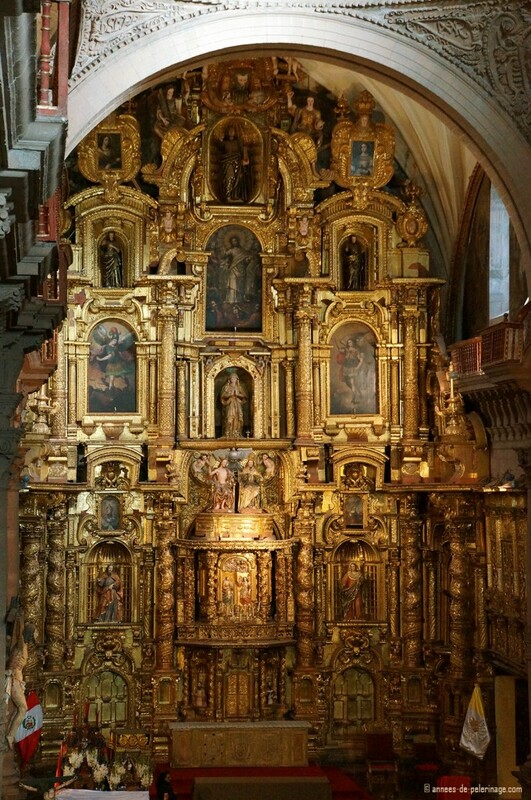 Inside you will find outstanding examples of colonial gold work. Everything will appear even more impressive, once you’ve come to know that Cusco is actually an earthquake region and everything was built (some of it less successfully so) to withstand mother nature’s whims and wills. 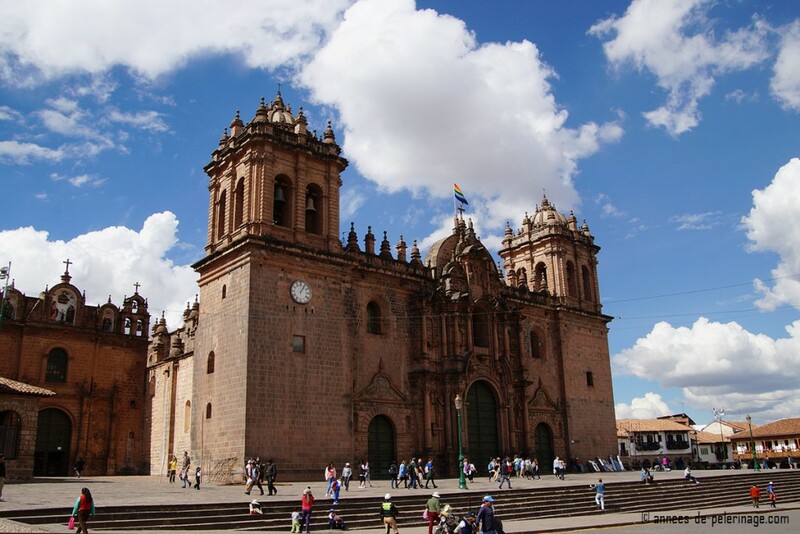 Right next to Cusco Cathedral you will find a similar Christian colossus: the Iglesia de la Compañía de Jesus. Often referred to as the most wonderful baroque-style church in the Americas, the cathedral has quite an exciting history. The Jesuits built it to outdo the splendor of the Cathedral next door – though ultimately they were forbidden to actually achieve it. Judge for yourself if they succeeded nonetheless! If we are talking about ecclesiastical highlights, there is no way around mentioning Qurikancha. Known today as the Convent of Santo Domingo, this has once been the most important temple in the Inca Empire: The House of the Sun. All the walls have once been covered in solid gold, while courtyards and niches featured heavy golden statues. While the church building is, of course, a more recent addition, the foundations remain literally unchanged. Of all the Inca ruins I have seen through Peru, this one is arguably the most stunning. I’m quite convinced, that even today, producing granite blocks of such precision would be a formidable challenge! Much of the ancient temple has been unearthed again. 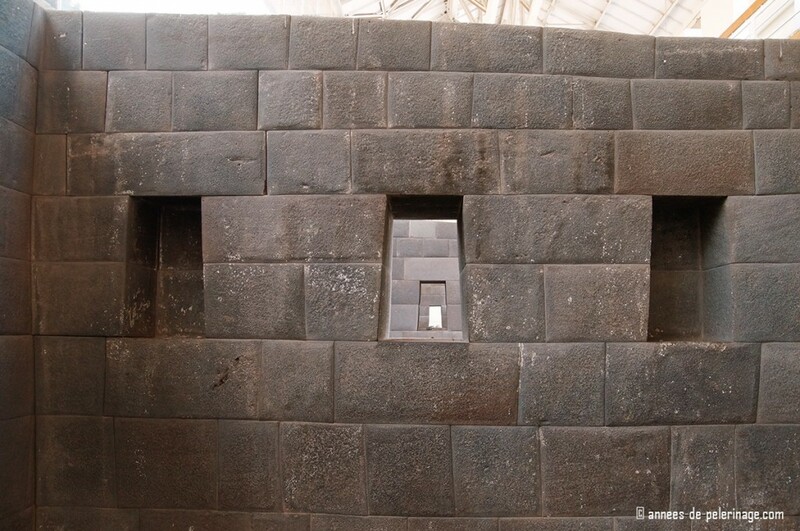 But definitely, do go inside and marvel at the perfect masonry of the Incas. Even without all the gold (it was used to ransom Atahualpa) the place cannot fail to impress. But do not discount the actual monastery & church either. The courtyard, as well as the rich decorations of the ceilings and walls, is definitely worth their own visit! Of all the things you can things to do in Cusco on your own, I feel that Qurikancha is actually the most impressive. Talking about Inca ruins: Even though the Spanish tried hard to eradicate, or at least to assimilate, any visible reminder of its former rulers, so much of Cusco’s pre-Columbian history remains. 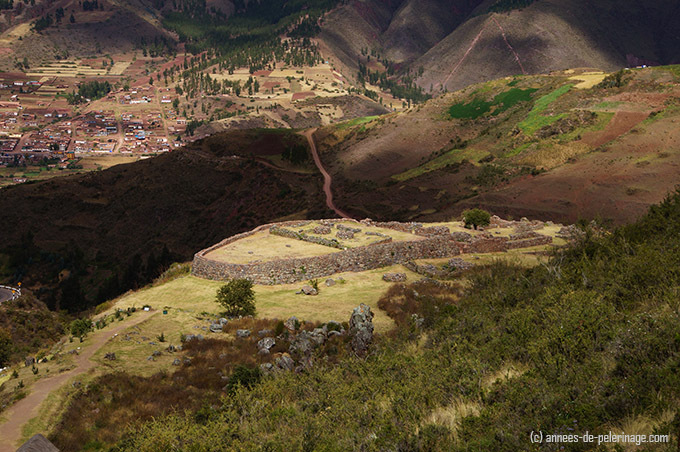 Above the city looms the ancient military fortress of the Inca: Sasayhuamán. Be prepared for a little hike that can be quite taxing at Cusco’s high altitude. You can alternatively also take the bus or a taxi, even though walking makes it possible to truly appreciate the wonderful view of the city. In all honesty, Sacsayhuamán is not too overwhelming. It once must have been the grandest palace of them all – but very little of it remains. 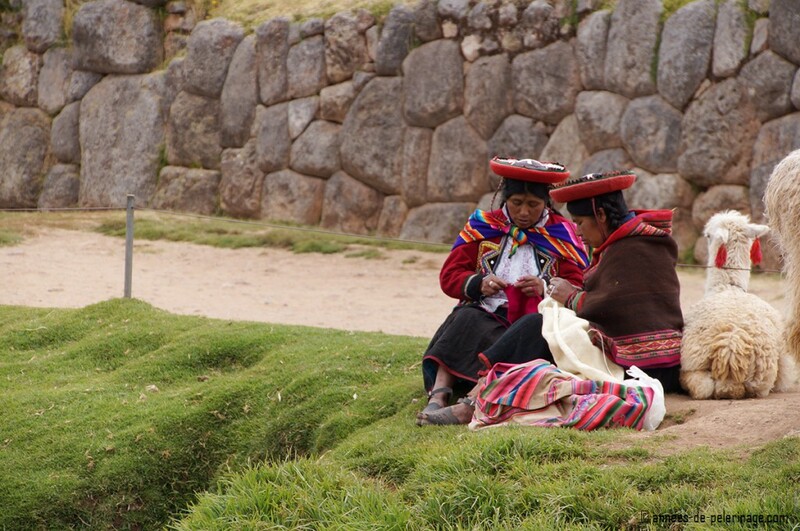 It really boils down to terraced foundation stones with some Quechua women selling you ponchos. 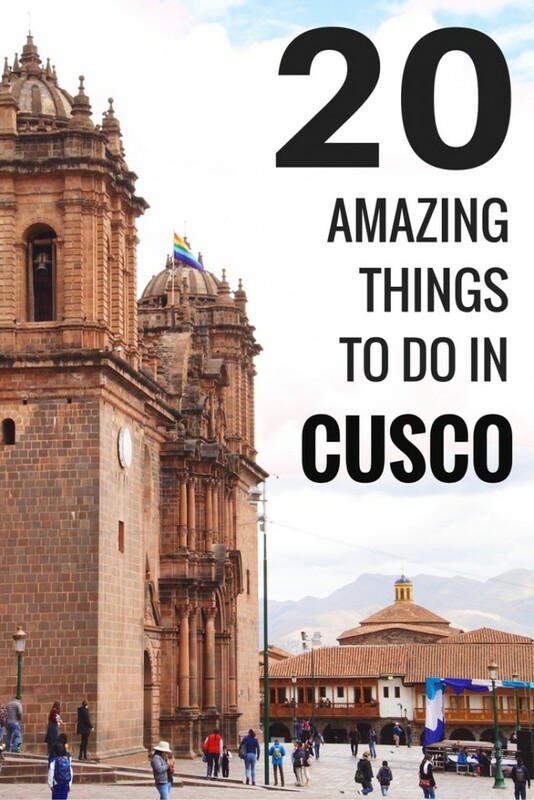 Still, that doesn’t mean it shouldn’t be on your list of things to do in Cusco. The reason for this recommendation is Inti Raymi. Once a year the Festival of the Sun is celebrated at Sacsayhuamán. Thousands of locals and tourists will come together to watch an ancient (reconstructed) festival from sunrise to sunset. Inti Raymi takes place on the nine days around the winter solstice. The most colorful costumes and lavish banquets, and of course authentic music, can be seen here. If you can, do plan your visit to Cusco for this time. It really is worth it. 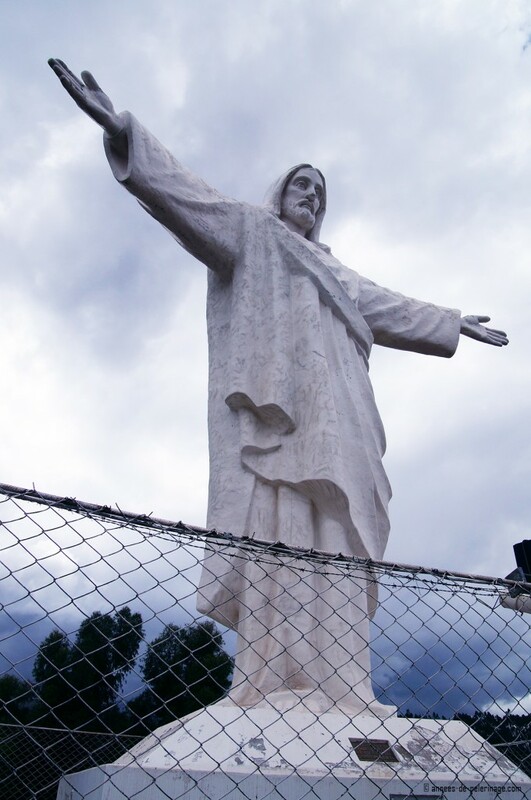 Right next to Sacsayhuamán (maybe a walk of 10 minutes) you will find a giant statue of Jesus Christ, called Cristo Blanco. I am not quite sure why the built the ugly fence around it, but the 8-meter high statue is certainly a sight you cannot escape. Don’t go there because of seeing the statue up-close. It was designed by a local artist called Francisco Olazo Allende, and, believe it or not, a gift from Arabic Palestinians refugees, who came to Cusco after World War II. The actual reason to visit Cristo Blanco is the phenomenal view of Cusco the platform around the giant statue affords you. 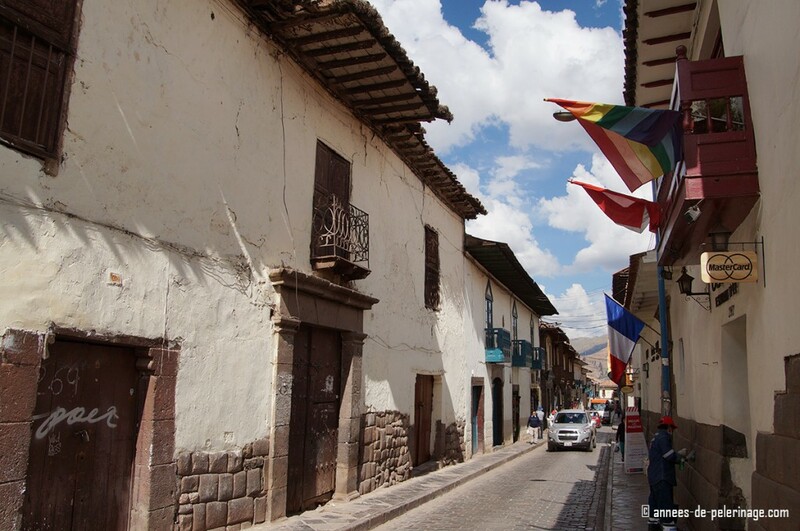 On your way down from Sacsayhuamán make sure to check out the San Blas quarter. Known for its many artisans and craft shops it certainly should be one of the things to do in Cusco – if only to get a wonderful authentic souvenir. Even if you are not a fan of shopping, the extremely steep cobblestone roads will be worth a visit. They certainly caught my attention! Once in San Blas, there is no way around not checking out the Iglesia de San Blas, located on a little square (with quite a lovely view of the inner city). Admittedly the church is rather plain from outside. 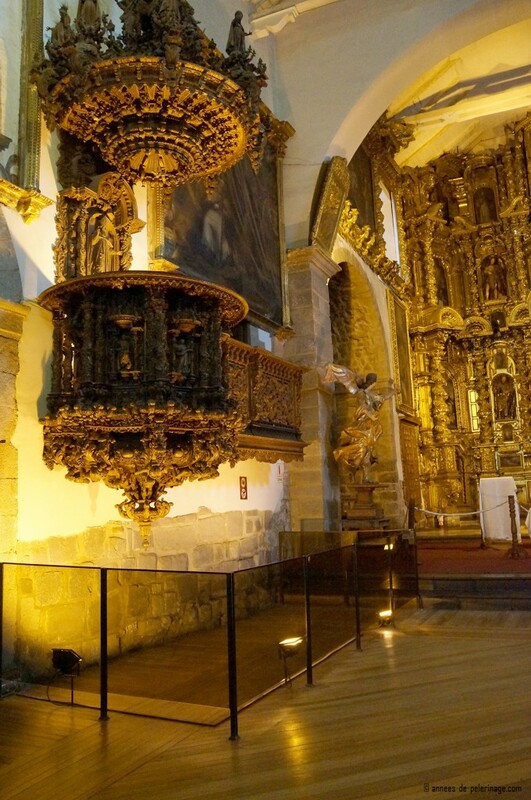 Inside, however, you will see one of the main attractions of Cusco: a wooden pulpit of such intricate baroque design that it beggars understanding. There are many myths about the creation of this pulpit and the audio guide available will tell you a few. I am afraid my picture really doesn’t capture it in all its glory. 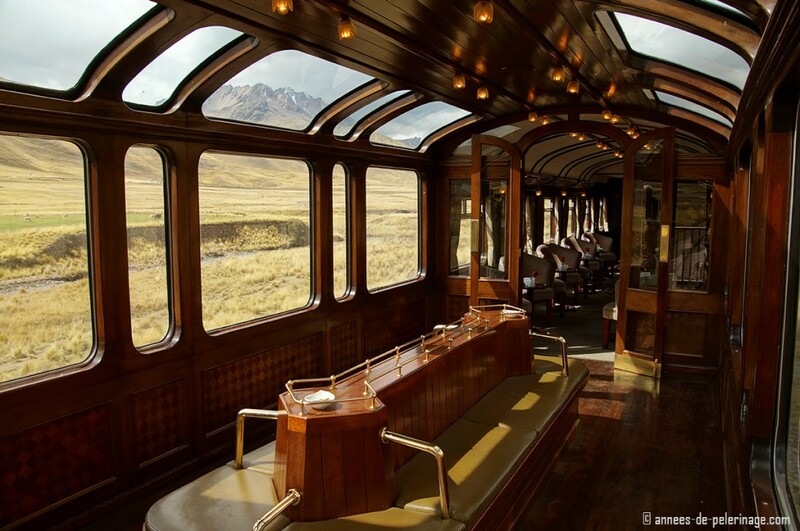 Definitely, put it on your list of things to do in Cusco. 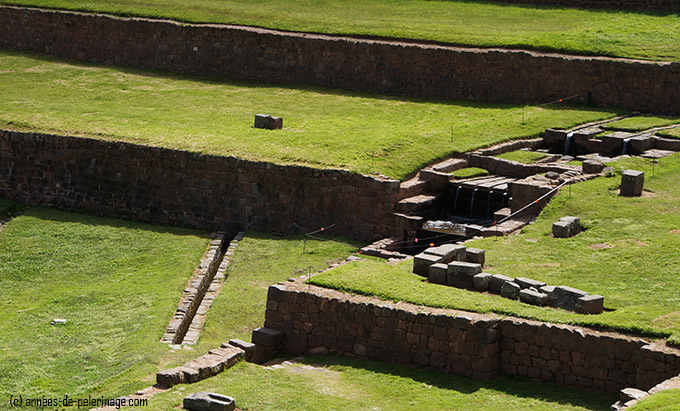 Despite its official title of Archeological Capital of the American, Cusco really does not have a lot of museums. The high-quality stuff all is on exhibition in Lima or even farther away. Yet there is one museum that really deserves a special mentioning: The Museo de Arte Precolombino. Modern displays, very high-quality artwork (most of them pre-Incan) and quite a lot of gold really make it the best museum in Cusco. My recommendation: Put it on your list of things to do in Cusco. If the Spanish succeeded with one thing, then it is converting the Quechua people to Catholicism (please read this as a fact, not an assessment!). It is no small wonder that Cusco is brimming with wonderful churches, convents, and monasteries. 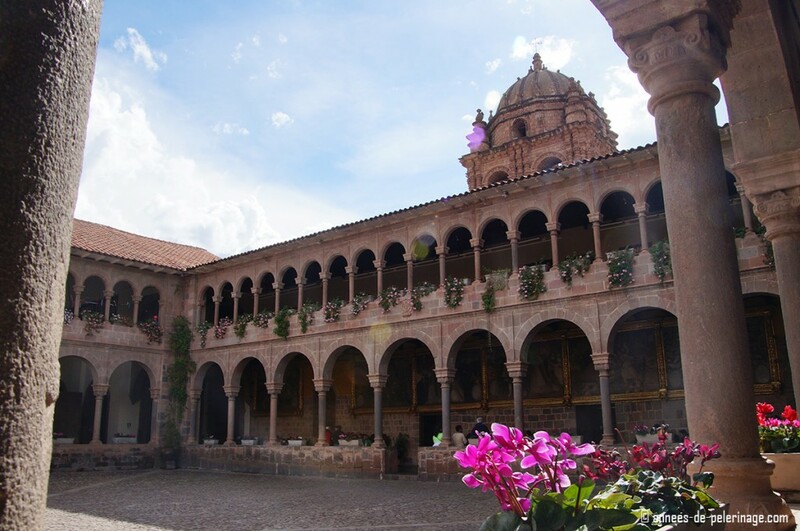 Among them, the Museo Palacio Arzobispal certainly is one of the highlights and certainly a thing to do in Cusco. Inside you will not only find a charmingly intimate courtyard but also the salón dorado – the Golden Hall. 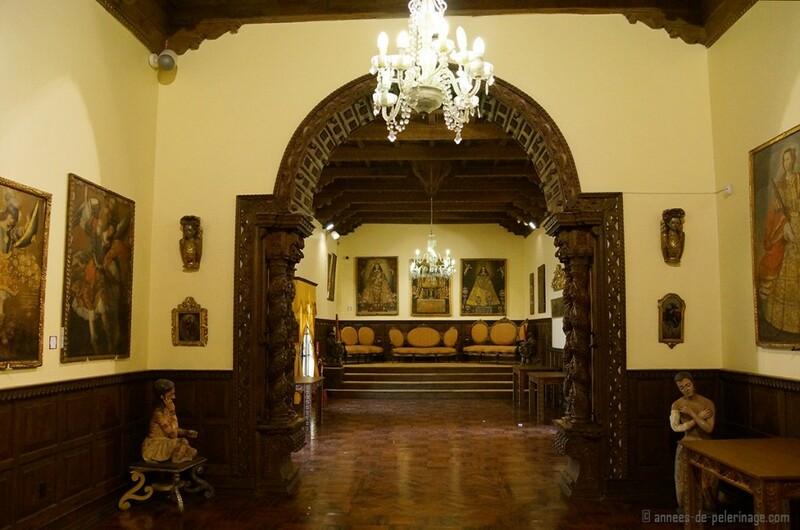 It has once been the reception room of the archbishop of Cusco and is a prime example of the early colonial interiors and colonial architecture as a whole. The Palacio Arzobispal has been, like many other buildings in the old part of Cusco, built upon ancient Inca foundations. So even if you decide you don’t want to go inside, it nevertheless should be on your list of things to do in Cusco. Why? Because the very walls of the palace are, to be quite frank, more than massive! They really give a very good impression how ancient Inca palaces must have looked like. Most famous is a gigantic twelve angled stone. Personally speaking, I don’t think that very stone itself I all that spectacular – the whole ensemble, however, is. It probably is no big secret I am a huge fan of authentic markets (check out my guide to beautiful Riga, for example). Cusco’s Market, however, is on a whole new level. It virtually spans over a whole quarter of the city and people from the whole region come to sell their wares here. 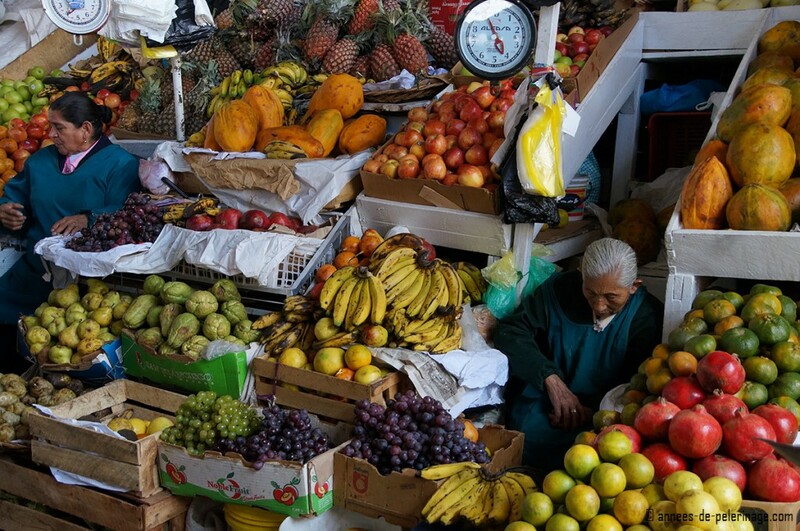 The name of the market: San Pedro and should have a very high priority on your list of things to do in Cusco! There really is anything you won’t find here, some of it probably a bit more grizzly – but nothing you can’t stomach. Also don’t shy away from treating yourself to some fresh fruit. They also have many booths selling fresh juices and quite a couple of street food vendors (will be chicken and pork). 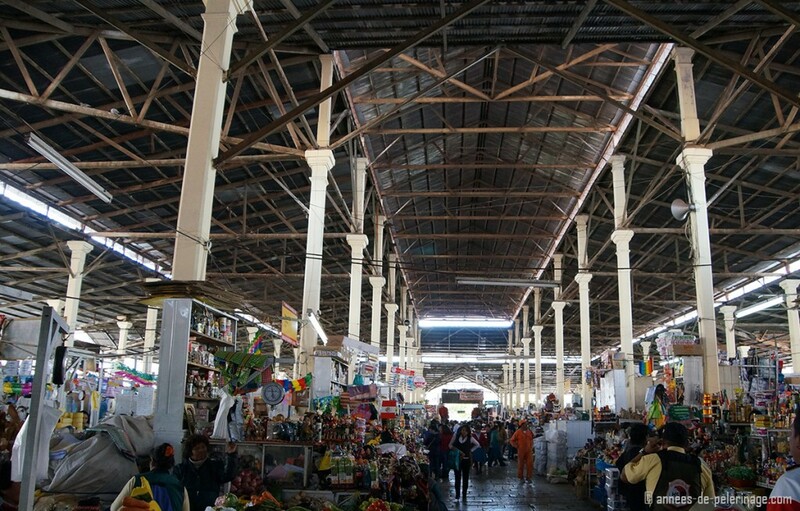 San Pedro market is split into a huge hall and many, many stalls and booths in front of it and in the whole quarter around it. I do advise you to go exploring a bit – it really gives you the opportunity to breathe in the variety of the Peruvian culture! I am somewhat reluctant to put this museum on the list of things to do in Cusco. 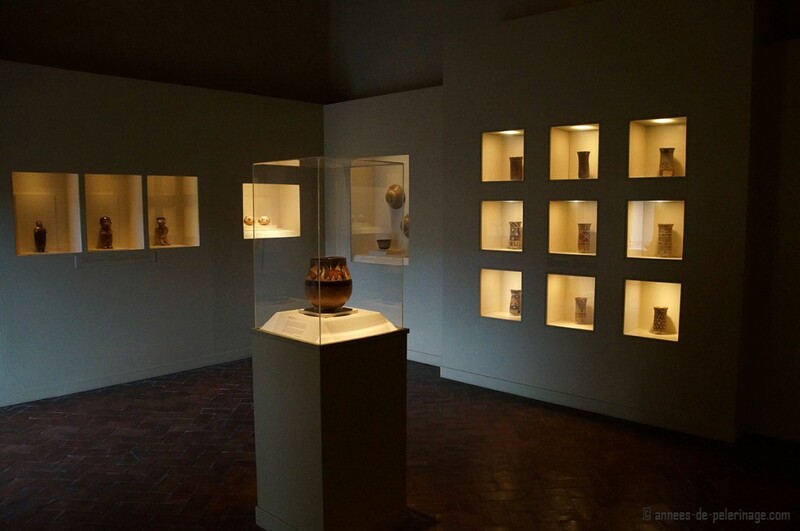 The Museo Inka really feels somewhat outdated. The exhibits on displays are, all things considered, nothing all that special. If anything, do go because parts of the museum are inside an old palace and some of the interiors survived the ages. On a rainy day with lots of spare time, this might still be worth a consideration. Avid fans of the Inka culture definitely should go. Now with my warning considering day trips to Machu Picchu, I really didn’t mean you shouldn’t leave the city! Cusco is located in the heart of the sacred valley of the Incas and in either direction there are fantastic things to see. Only a couple of miles away (maybe 20min by taxi) you will find Tipon. Tipon is actually beyond description. It is a ritual water garden and for me one of the highlights in the whole area. The best thing: So far it still is an insider tip with hardly a tourist around. 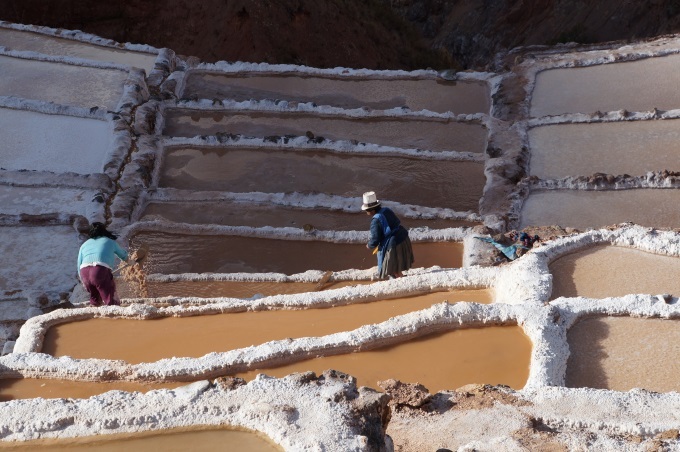 Another true highlight in the area of Cusco are the Maras salt evaporation ponds. They are actually a bit farther away and maybe better explored from a stay in Urubamba or Ollantaytambo. Still, if you don’t plan to change quarters, Maras (and close by Moray) are quite doable on a day-trip – believe me, you won’t regret it. I already mentioned the two most spectacular places (three counting Machu Picchu), yet there are others. Ollantaytambo, Tambomachay, Q’enqo and Piquillacta. These are all doable on a half-day trip from Cusco. Don’t make the mistake of planning for too many of these ruins. While all are beautiful in their own right, you really don’t want to stuff your itinerary too tightly – you’ll get sick of them. If you got more time, you might want to check out amazing Ollantaytambo. Read all about the last fortress of the Incas here. 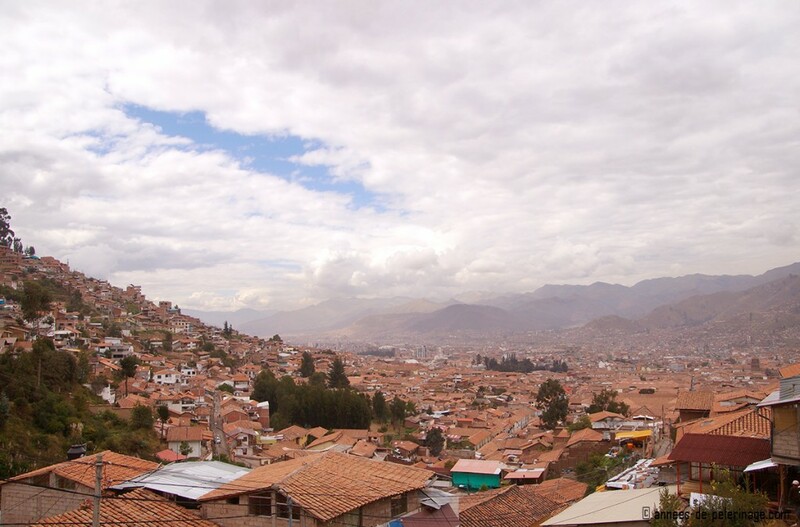 The altitude of Cusco is, like I already mentioned, 3.400 meters high. This makes it an excellent place for star gazing – especially because the ambient light in the region is rather low. There is a Planetarium in Cusco you can book tours. Here’s their official website. Trekking fans should definitely check out Ausangate. 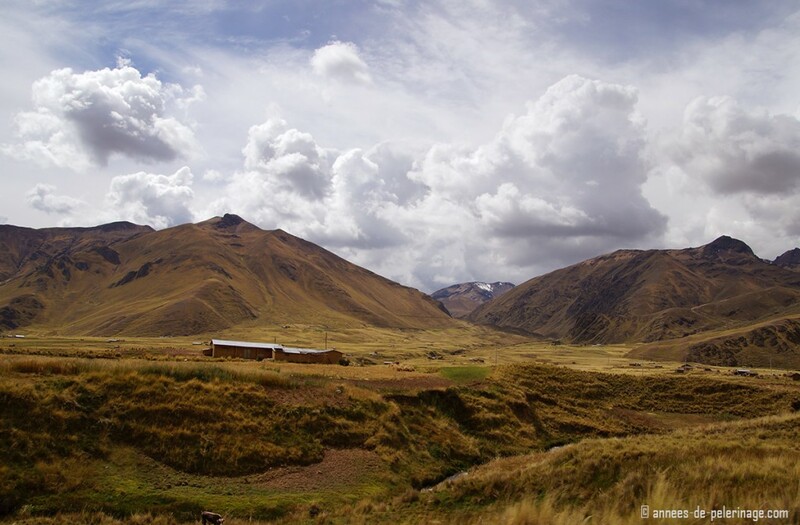 The impressive mountain of the Willkanuta mountain range holds a special place in Incan mythology. Apart from that, it is a pristine hiking location with a beautiful landscape. Two weeks before the Corpus Christi feat there will be a special festival in the region called Quyllur Rit’i – the star snow festival. Also, Ausangate will give you a good impression, that hardly mentioned any other outdoor activities. Besides hiking, rafting is also a possibility in the churning mountain rivers of the region. 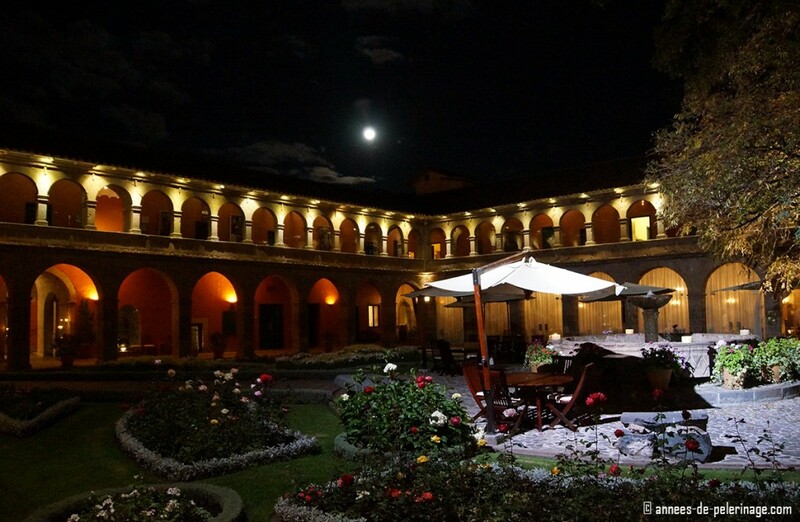 Cusco has two spectacular hotels. I can recommend both of them from the bottom of my heart. Both are located in the old part of the city (actually next door to each other) and both are operated by Belmond. The first is the Palacio Nazarenas. The boutique hotel is located inside a restored convent (and you can check out my review here). It feels more like a museum or a monastery than a hotel. Actually, a small church is part of the hotel. Yet they offer the full-fledged 6-star experience – butler-services included. 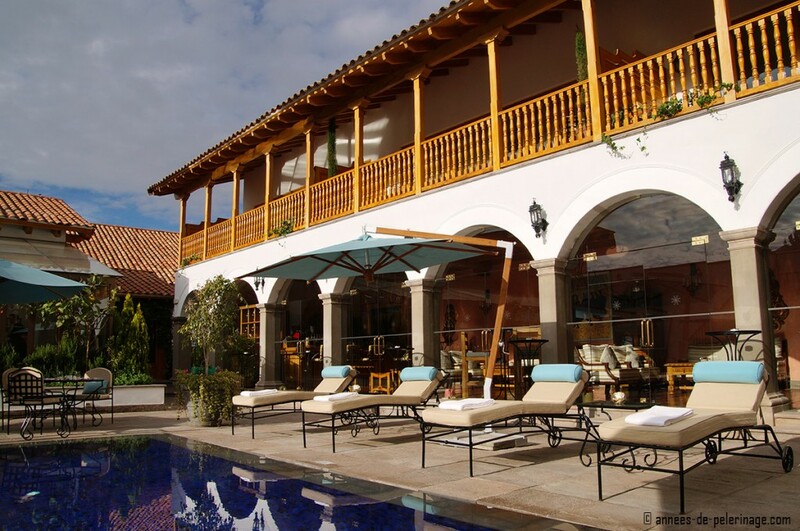 The luxury hotel also has the only outdoor swimming pool in Cusco. Be prepared to enter a new world, you might not want to leave. Best feature: They feed the air-con with extra oxygen against altitude sickness! 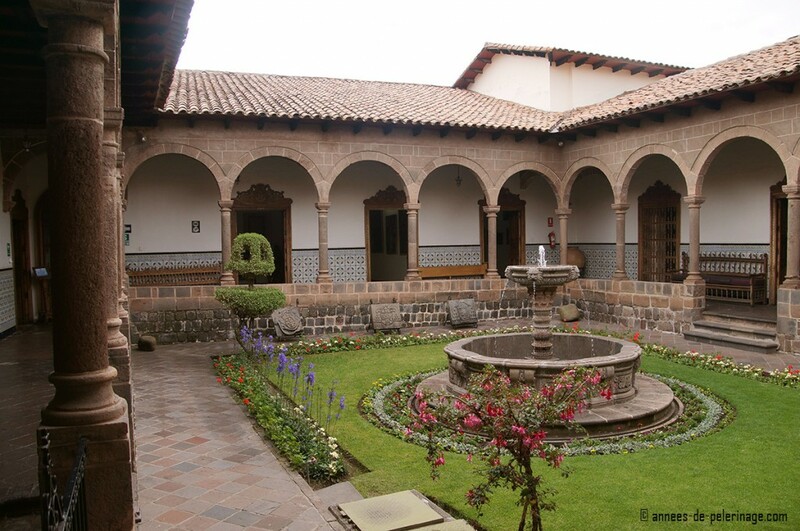 The Belmond Monasterio hotel is the second best hotel in Cusco. It is way bigger than the Palacio Nazarenas and doesn’t have the secluded convent feeling (despite its name), and has no outdoor pool. It is, however, not as expensive, while not cutting back on the service. And to be quite frank, it is just as lovely! The courtyard alone is worth your stay there. While I was in Cusco they even had one opera-dinner. Now my personal opinion is: don’t cut back on hotel expenses. A good hotel decides whether your holidays will be relaxing or stressful, perfect or underwhelming. Obviously, not everyone can afford luxury hotels, so I’ll link you the other hotel options in Cusco. There are also a lot of hostels catering to the needs of backpackers and budget travelers. And talking about luxury: Luxury doesn’t mean you should be wasting money. 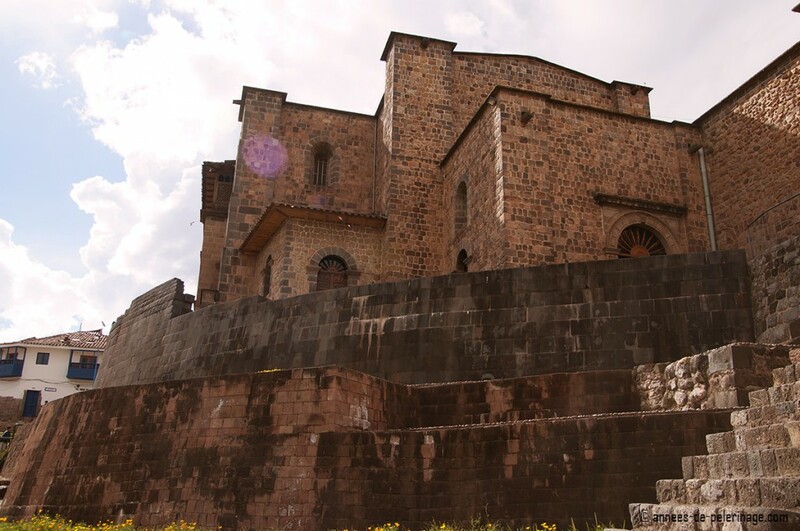 Since you probably want to visit a lot of museums and archeological sites during your stay in Cusco, there are two special tourist tickets you should be aware of. This one comes at quite a steep price (130 Soles/~43 USD), but will get you in at many places you will want to visit anyhow (Sacsayhuaman, Piscac, Cusco Cathedral, Church of San Blas, Ollantaytambo etc). Please be aware that you don’t have to book the full ticket if you are on a tight schedule. There are also partial tickets. More info here. The other ticket you really should be aware of is your entrance ticket for Machu Picchu. You cannot buy tickets at the entrance gates to the Inca ruins. There is a ticket office in Cusco, but I do recommend you to buy them online way in advance. This is even truer if you plan to hike Wayna Picchu (find more info here). 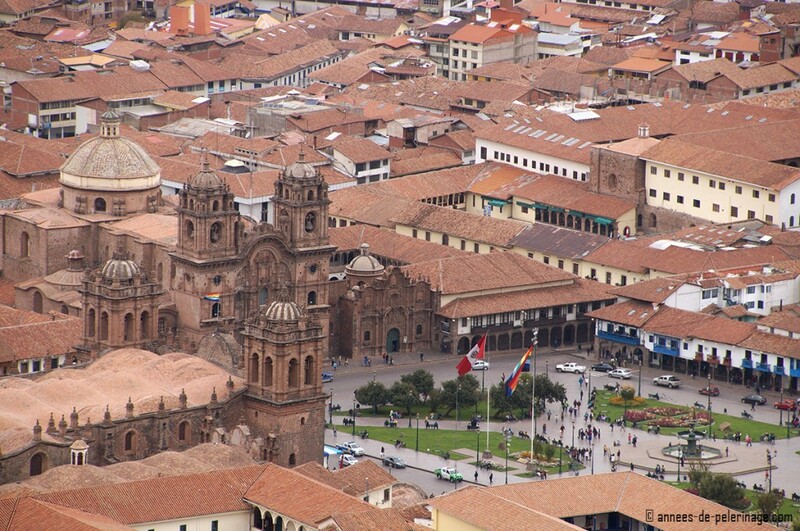 Cusco is a very vibrant, surprisingly young city, with a wonderful living tradition. The Andean food (especially corn & potatoes) is very delicious and most of the tourist attractions in Cusco are nothing short of spectacular. It can, however, be a busy city – busy with tourists, busy with tourist agencies and busy with vendors. The good thing: even on a rainy day the city will keep you entertained, though most of the Inca ruins (baring Qurikancha) are outdoors. During the dry time (meaning late June through August) you will run into quite a lot of fellow trekkers. My advice for you is to pick late May or early August. No matter when you go, temperatures in Cusco will be rather chilly (never above 20°C/ 67F°), especially in the night time (close to the freezing point). Also, keep in mind that Cusco’s altitude is 3.400 meters. Unlike the Palacio Nazarenes, few other hotels will enrichen their room atmosphere with free oxygen. Altitude sickness can be an issue, so it’s better to get accustomed slowly and don’t rush the first few days. Actually, you might consider starting with Machu Picchu, rather than Cusco, since the lost city of the Incas is only some 2.400 meters high. 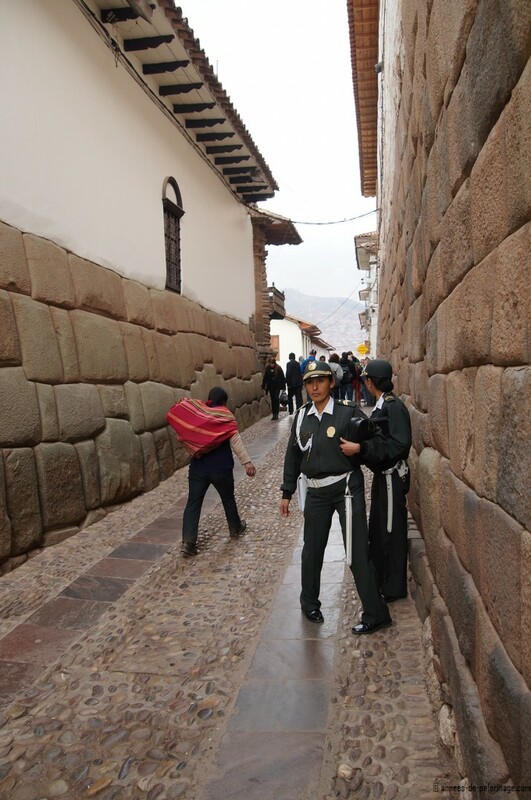 And don’t forget that Cusco is best explored on foot and the city is not level. Quarters like San Blas are actually better described as clinging to a mountainside. It’s not like you will need hiking shoes, but very comfortable walking shoes are recommended. 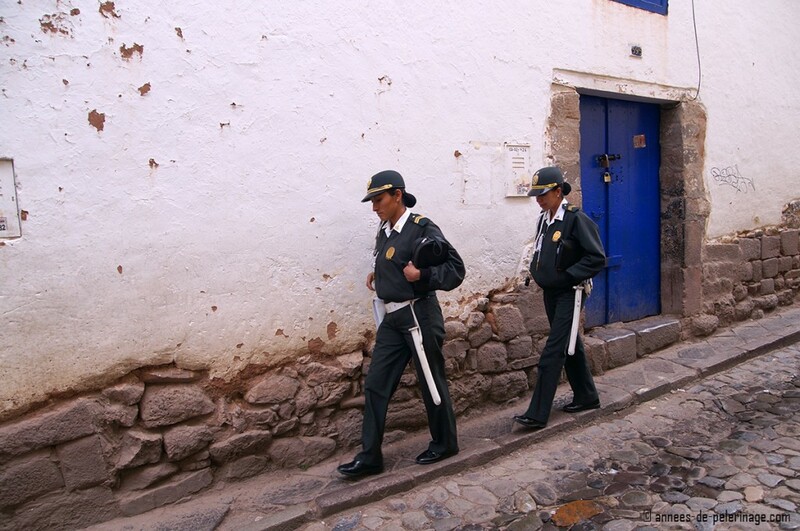 Cusco, in general, is not a very chic city. Since you will be visiting quite a lot of churches and temples, you should adhere to the standard rules of visiting such edifices, though temperatures won’t exactly tempt you to walk around in bathing suits or vests. If you do need further advice, don’t hesitate to comment below. And don’t forget to pin this to your Pinterest board! Great write up, definitely some good insight on what to do. I am planning to visit in July and hiking up to Machu Picchu. Do you recommend booking the hike tours well in advance or when I arrive? Will there be a significant price difference if I book through a third party? Thank you! I don’t really understand what you mean? If you are hiking up from Aguas Calientes to Machu Picchu, you don’t need a tour company nor tickets. You just need the tickets for Machu Picchu. 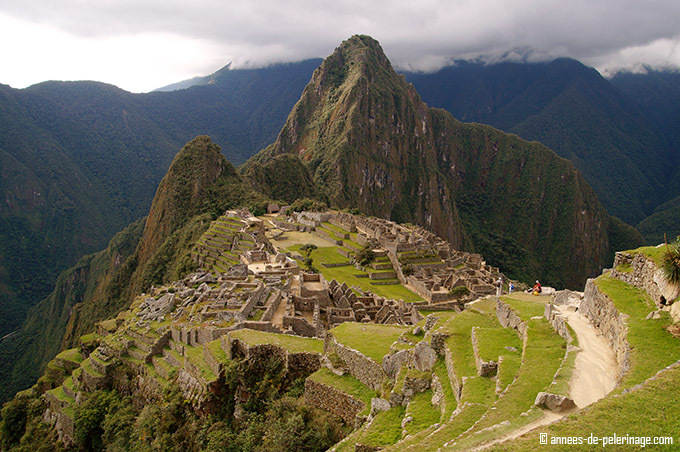 If you are thinking about taking the Inca trail, then you absolutely have to book in advance. For July, it might already be too late to get tickets for the classic Inca trail. Same goes for the tickets for Machu Pichu. Book them now, if there are still some available! Hi, if we already have the train tickets, do we still need entrance tickets to Machu Pichu? well, of course, you need tickets for Machu Picchu itself. What makes you think admission to the ruins was included in your train ticket? There are many places to know in Cusco, and all are very nice but there is one that does not put him in the list that is popularisando lot is now (RAINBOW MOUNTAIN or VINICUNCA) that only takes 1 Day, it is a very nice place although it gets a little cold and you have to walk about 2 to 3 hours but well worth it. I did the tour with Inka Time, because aside from knowing vinicunca I did know a red valley that few know, was spectacular.